The dancing dream adult costume is available in pink or blue. Costume includes jumpsuit with bell sleeves and layered ruffled bottoms. 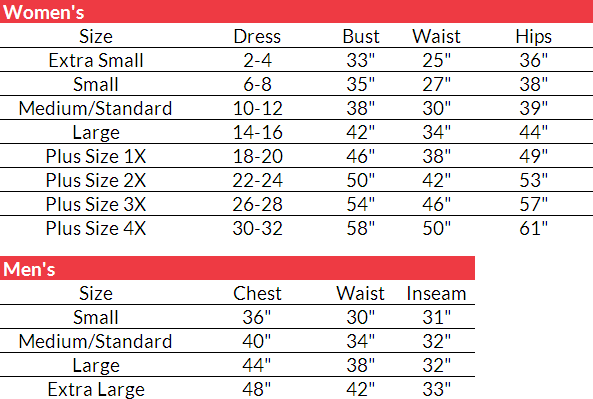 Available in adult women’s size small, medium, or large. 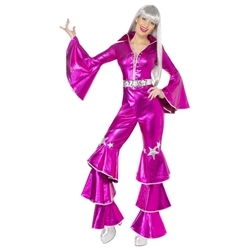 The dancing queen adult costume is perfect for recreating the iconic disco look that was hot and popular in the 1970’s for Halloween or 70’s era themed costume parties. Many directors also choose this costume for the show Mamma Mia.